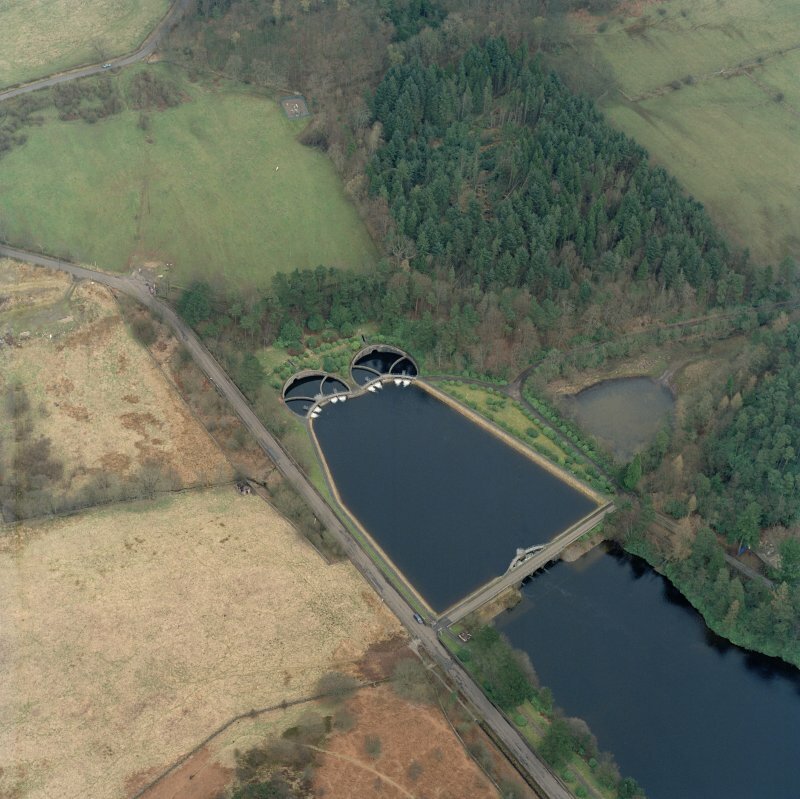 Oblique aerial view of Mugdock and Craigmaddie Resevoirs, looking WSW. 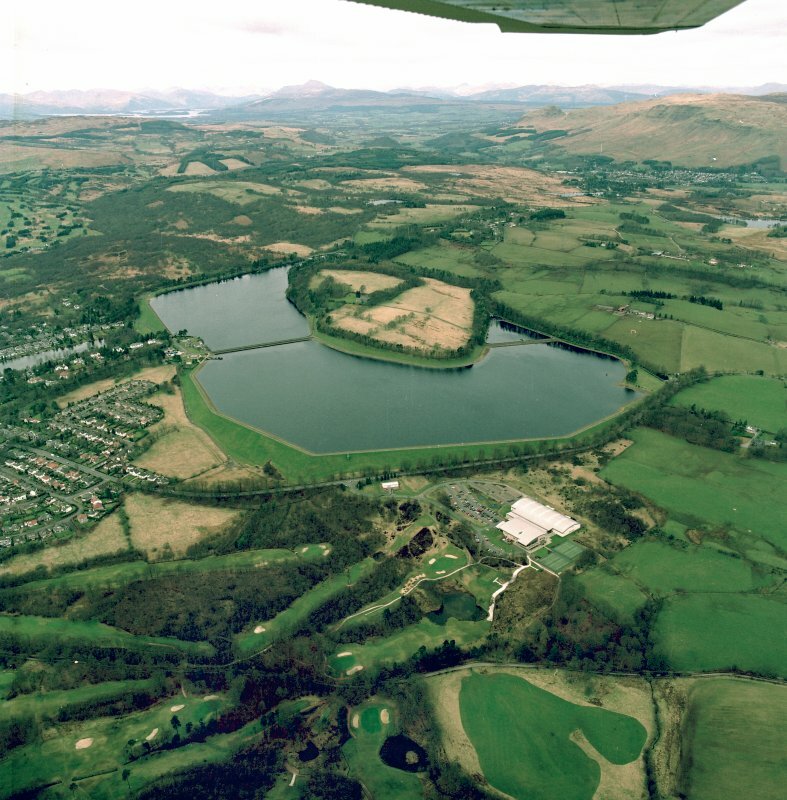 Oblique aerial view of Mugdock and Craigmaddie Resevoirs, looking NW. 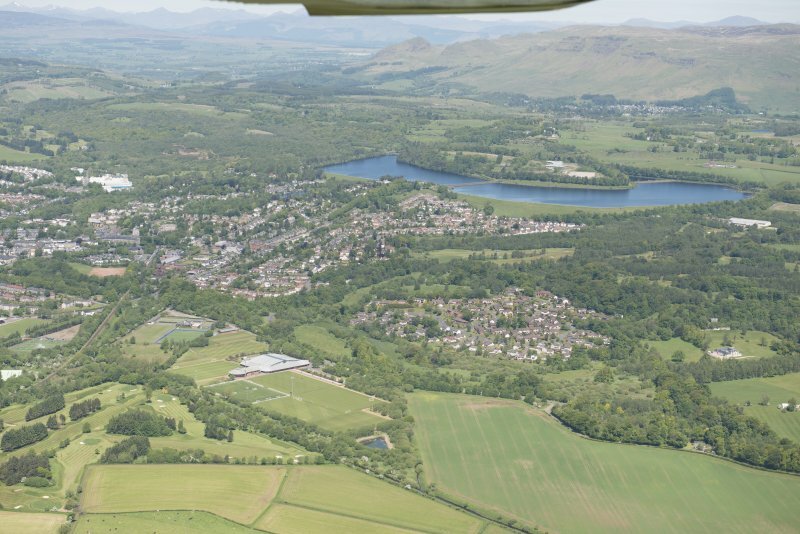 Oblique aerial view of Mugdock and Craigmaddie Resevoirs, looking NE. 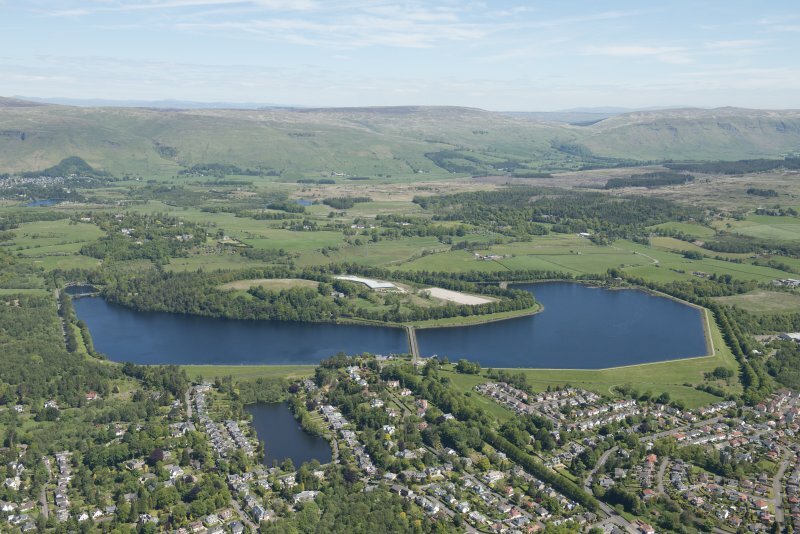 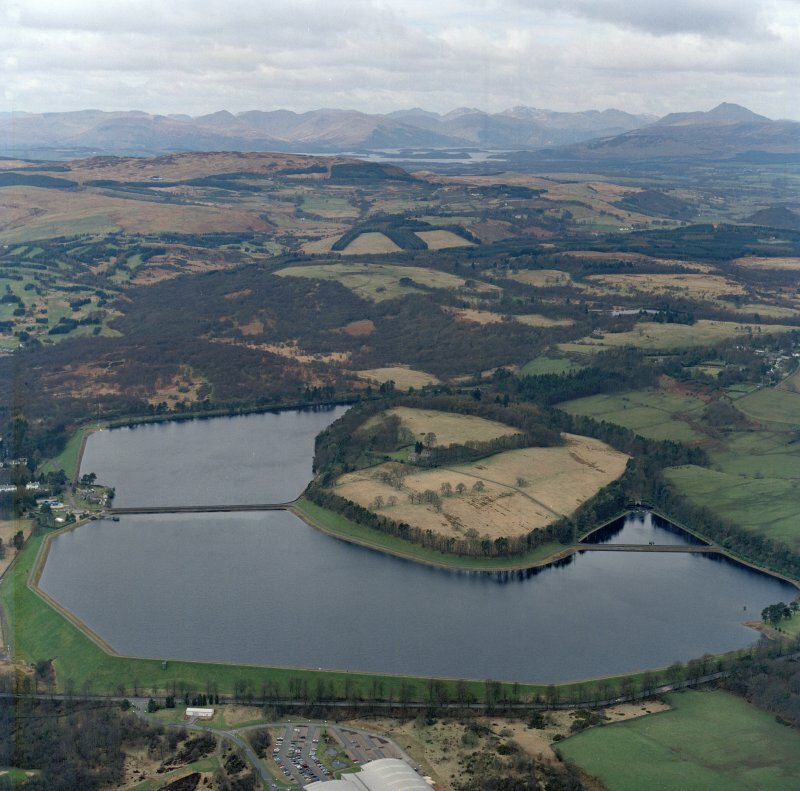 Oblique aerial view centred on the reservoirs, taken from the SSE. 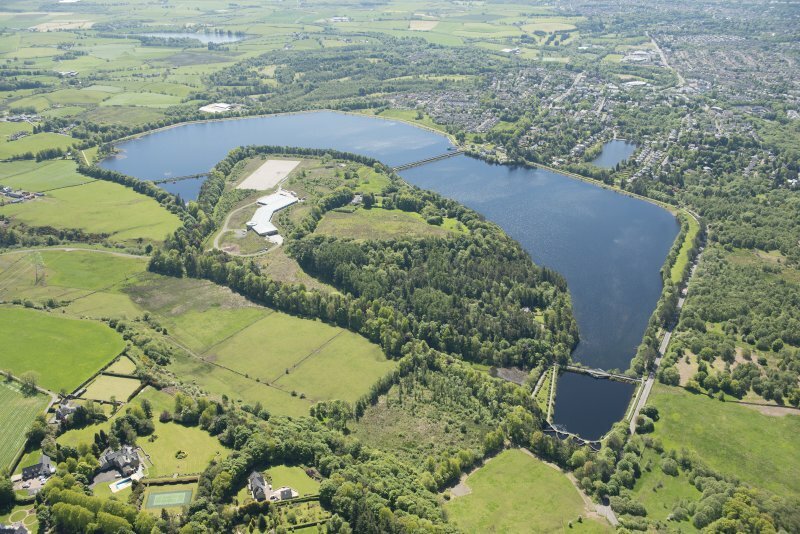 Oblique aerial view of Milngavie, Craigmaddie and Mugdock Reservoirs, looking N.
Oblique aerial view of Mugdock and Craigmaddie Resevoirs, looking SSE. 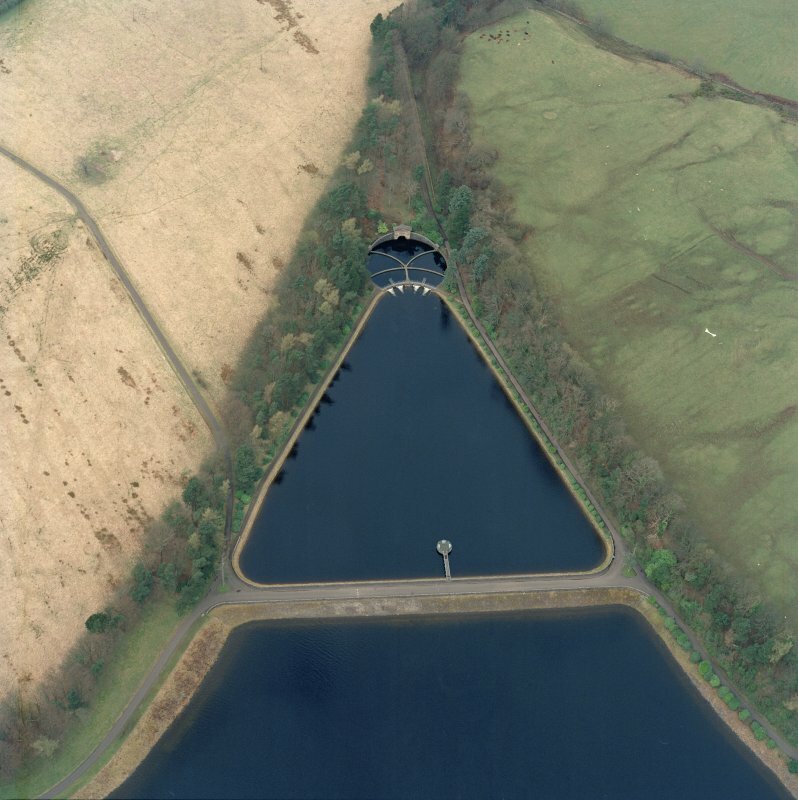 Oblique aerial view of Mugdock and Craigmaddie Resevoirs, looking NNW. 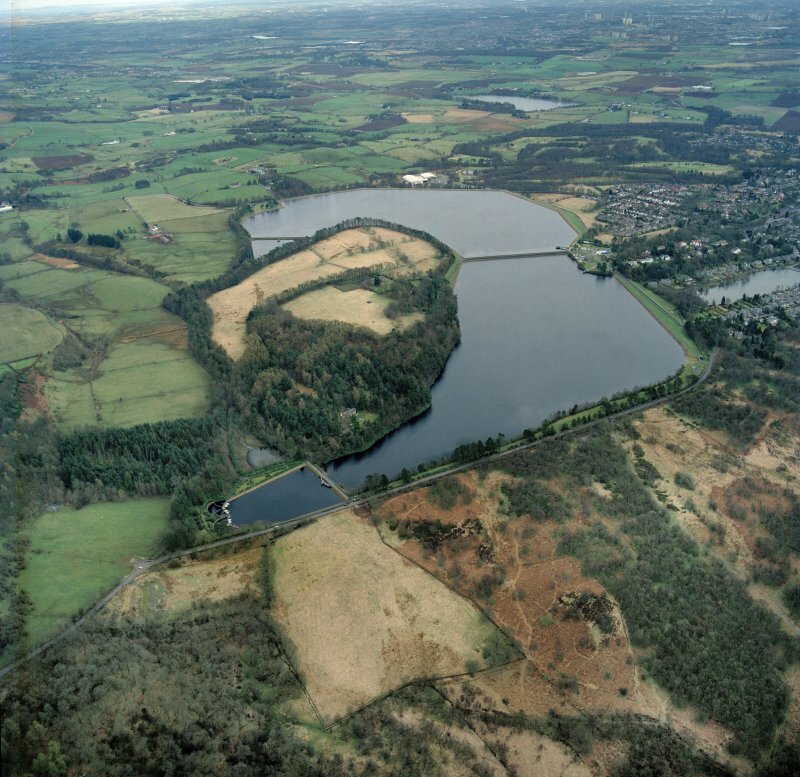 For associated Mugdock Reservoir (adjacent to W and NW), see NS57NE 63. 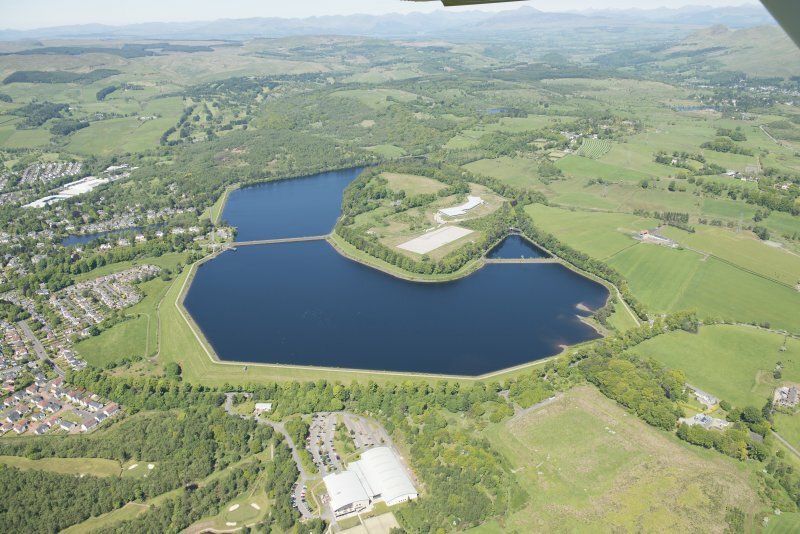 This reservoir was begun on the 1st May 1886 and completed on the 11th June 1896. 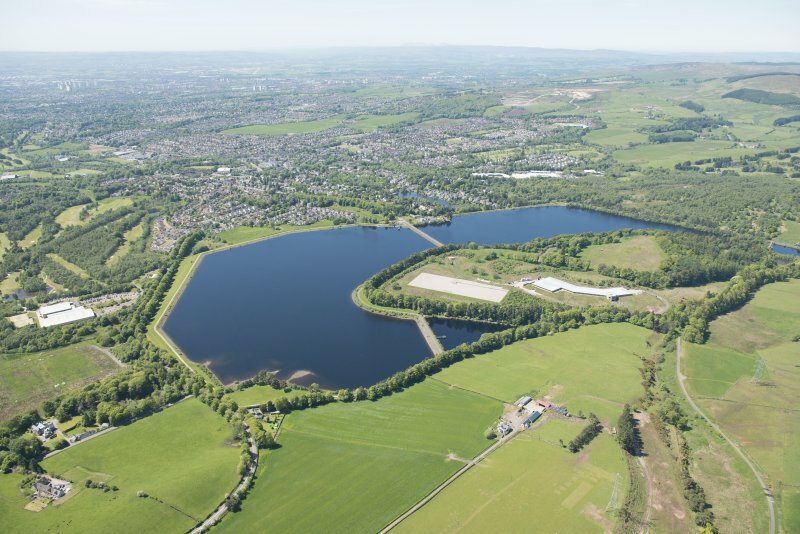 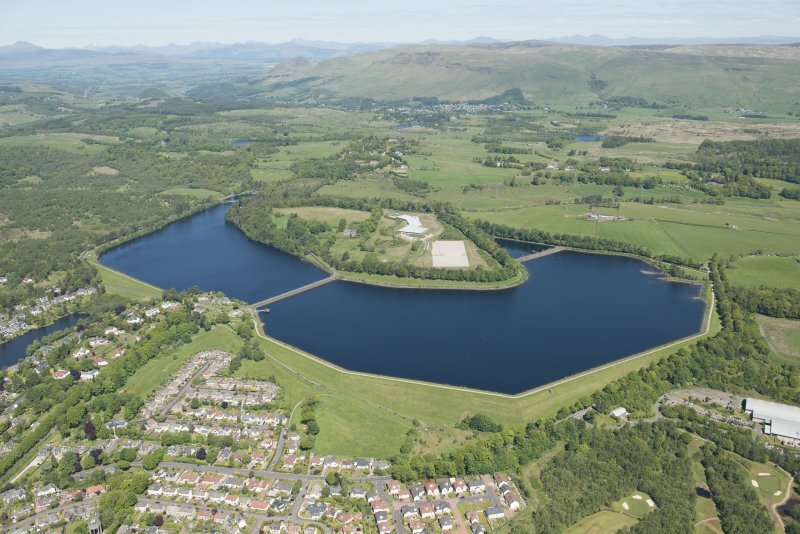 The reservoir was brought into operation on the 1st January 1897 after geological problems necessitated the excavation of a deep trench to ensure that it was fully watertight. 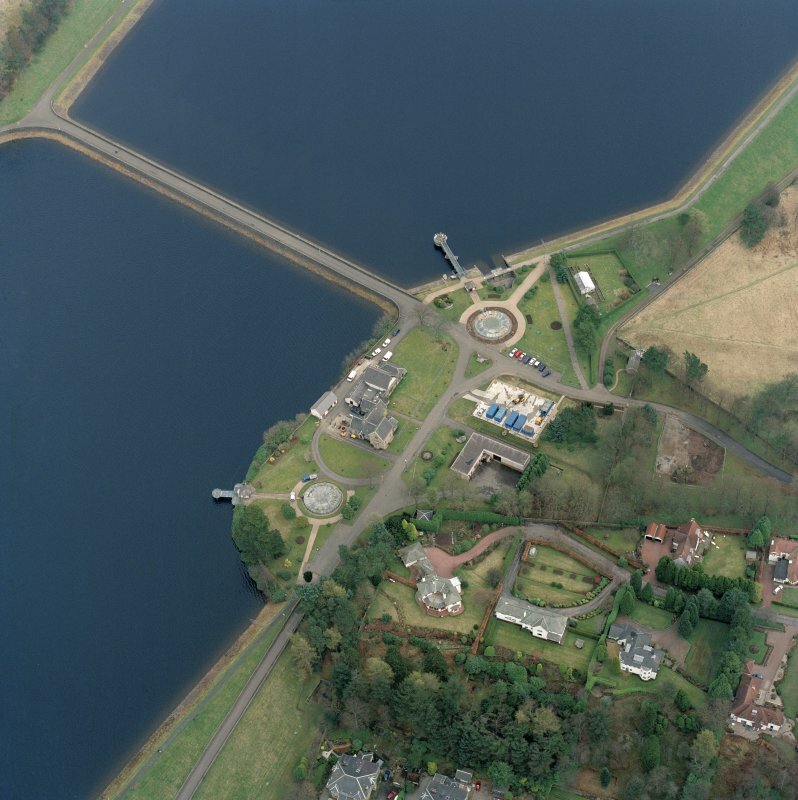 Infomation from Jelle Muylle, engineer carrying out survey of sites and structures of the Loch Katrine Waterworks for RCAHMS, Historic Scotland funded, December 2007.
impervious barrier. 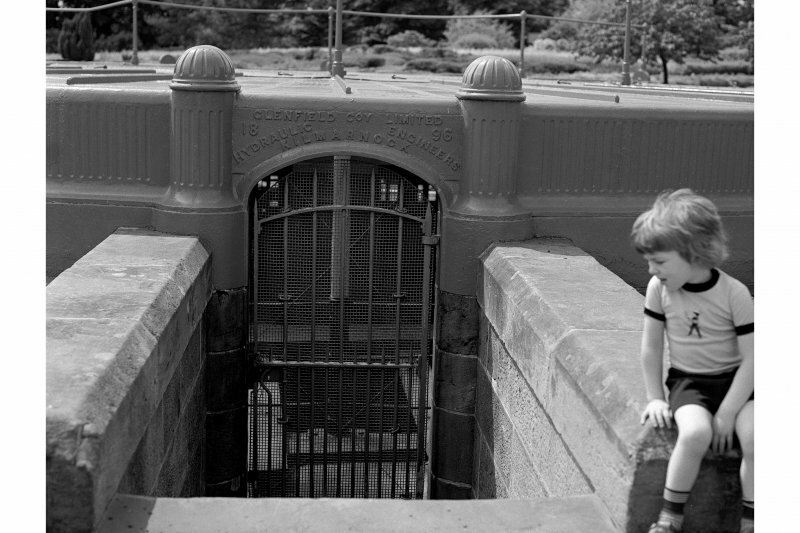 In one place it had to be excavated to a depth of 193 ft below ground level. 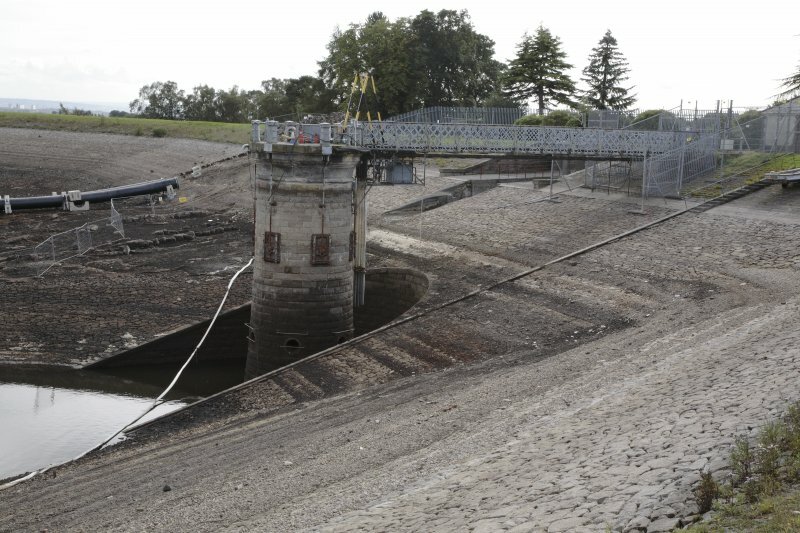 The construction of this trench took more than six years and caused the resignation of the first contractor. 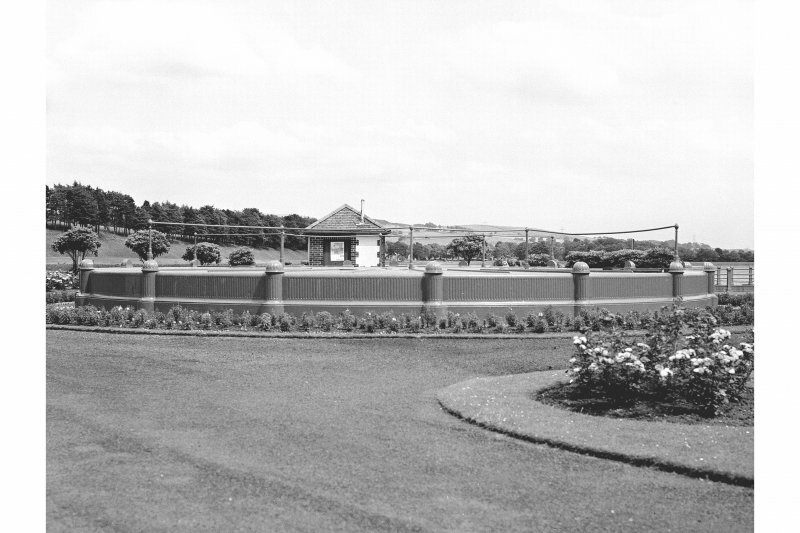 The work was thereafter withdrawn from contract and executed by direct labour. 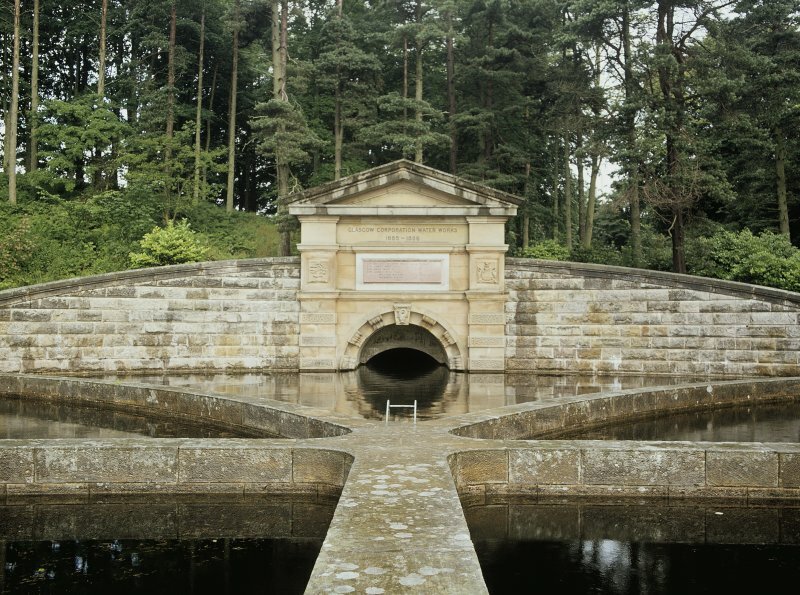 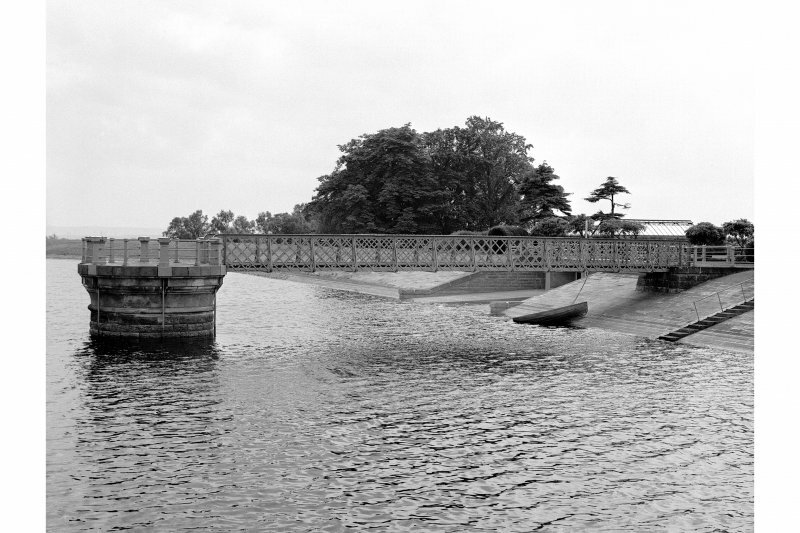 The reservoir was finally completed in 1896 and cost about £337 000, more than two and a half times the original estimate. 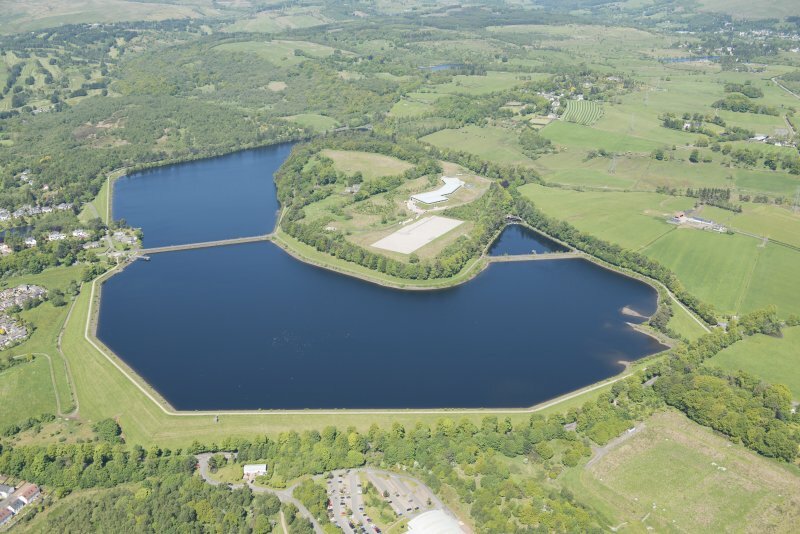 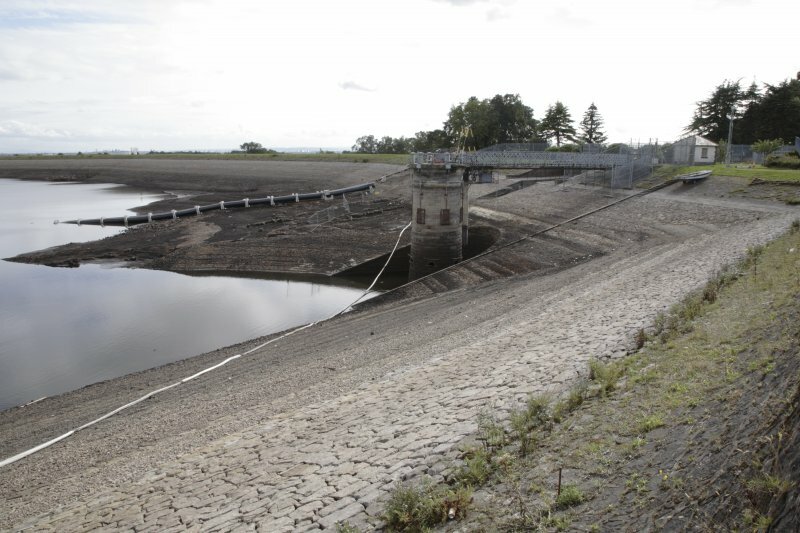 The reservoir has a water surface of 88 acres, a depth of 42 ft and a storage capacity of 700 million gallons. 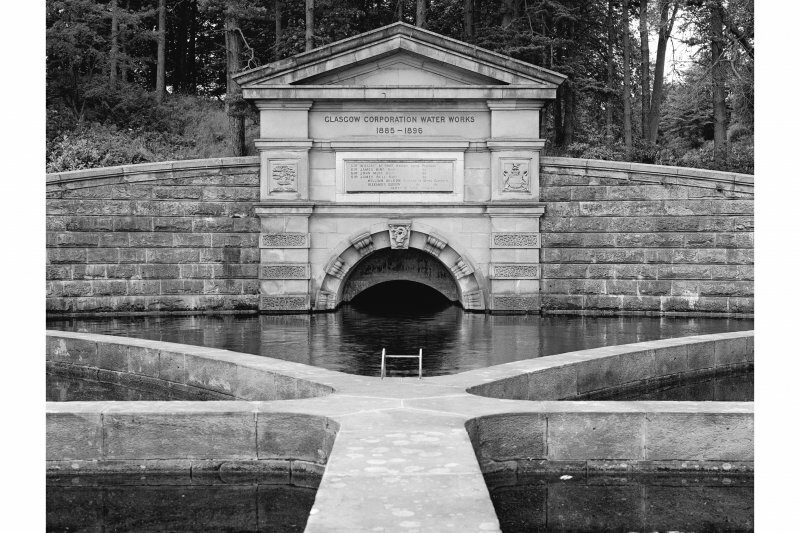 The works were designed and superintended by J. M. Gale, Engineer, Glasgow Water Department. 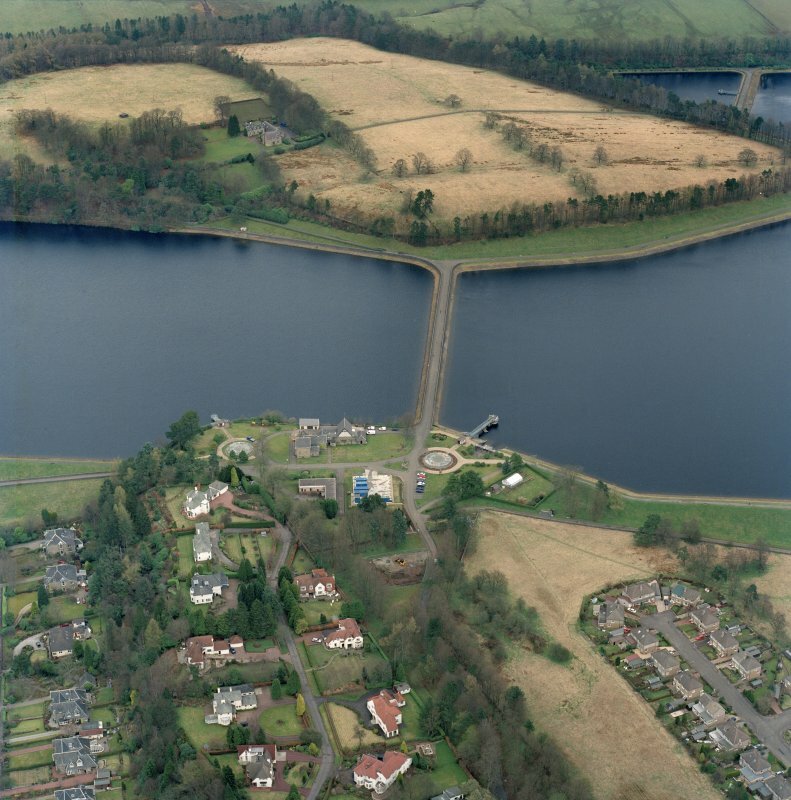 Reproduced from 'Civil Engineering heritage : Scotland - Lowlands and Borders' with kind permission of Thomas Telford Publishers.